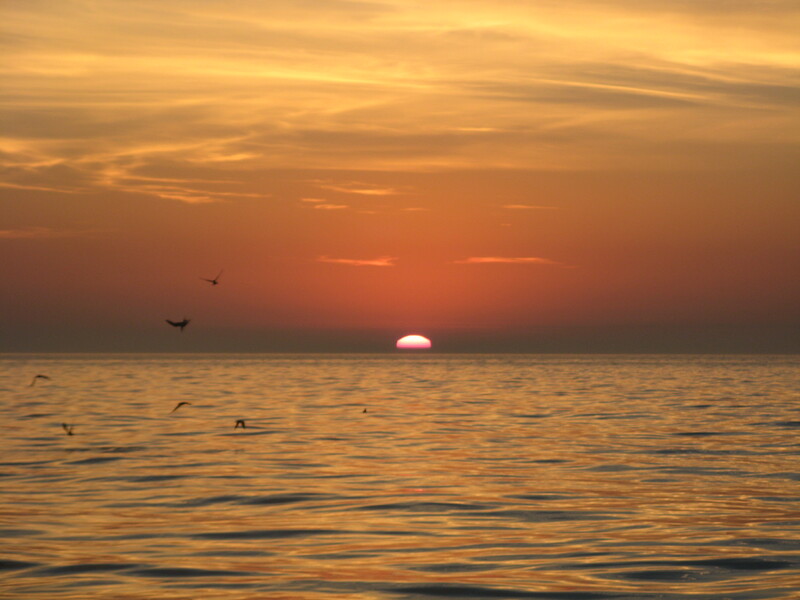 Had a great bunch of fellows aboard today who enjoyed great weather and great fishing! Glad the big ones are here…more on the way! Appreciate your business very much! We are glad that Rodney brought his family and friends to fish with us today. 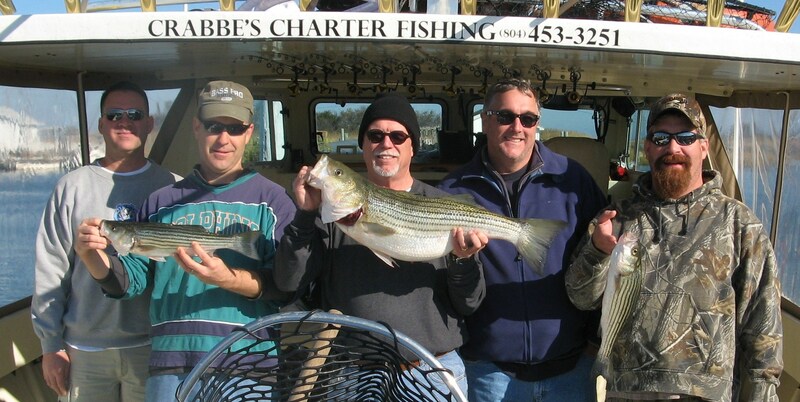 We had a great day at the Northern Neck reef fishing the tubes with live spot. Plenty of action and lots of fun having the youngsters catching most of the fish! Appreciate your business Rodney…thanks for making the long trip. Thanks to Jerry for bringing a great group of guys to fish with us today! We had beautiful weather and plenty of action fishing with live spot and came back to the dock with our limit. 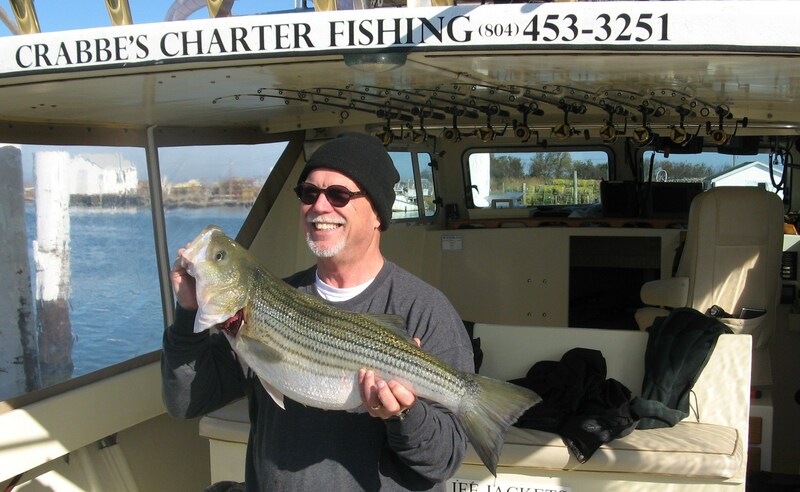 Appreciate your business Jerry and look forward to fishing with you again! We worked hard and had a great fishing team for the CNR Tournament! 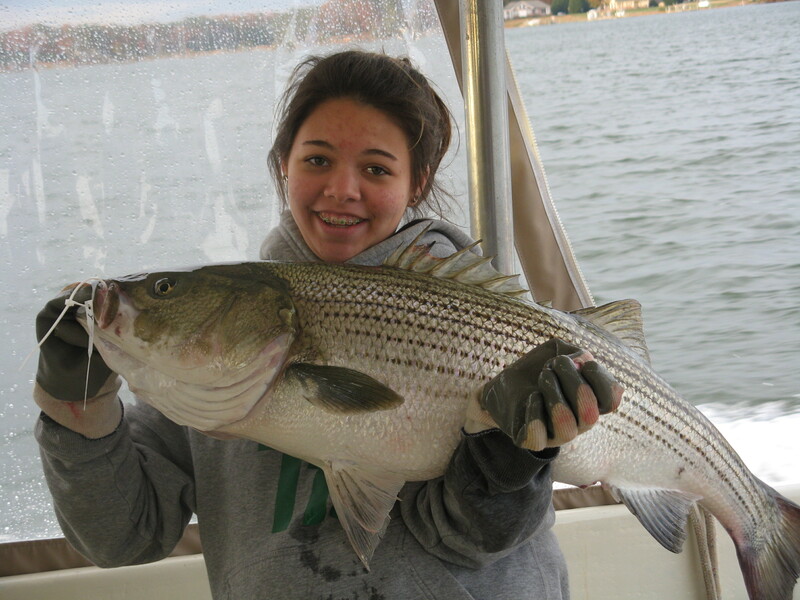 Although we came up short by one fish, we are proud of our young lady angler and her beautiful 23 pound rock! Always great to have Mark fish with us aboard KIT II. He worked with me years ago as a mate and it’s always fun to revisit old times. We had a great fishing day with no problem catching our limit. Thanks Mark for bringing your group to fish and look forward to next time! We had another good day live lining over the tubes with C.T. and his fishing buddy! 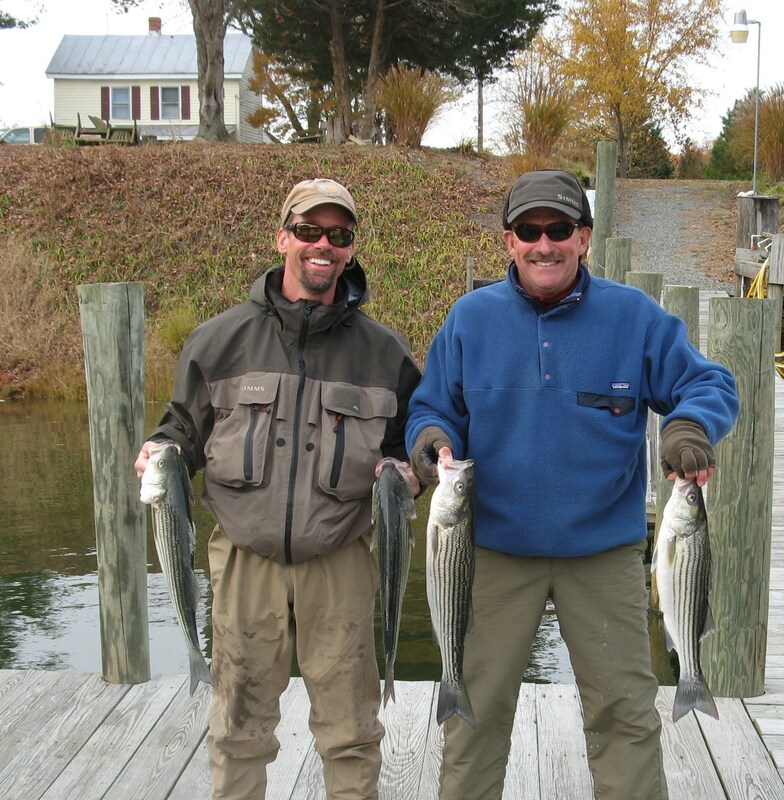 We picked them up at the dock just down the river at Sloop Creek Lodge and headed out to the Bay for a great day of fishing. Tons of live action! We appreciate your business C.T and hope to see you again soon! First, to Woody and his fishing team, we say “Thank you for your service to our country!” We were glad to have you back fishing with us on your special day. It was a great day all the way around. Got our limit early, visited the beautiful and quaint Tangier Island, and returned to the dock in time for lunch. We held back taking pictures of all of the very biggest fish because the CNR Tournament is this Saturday and we plan to win!! 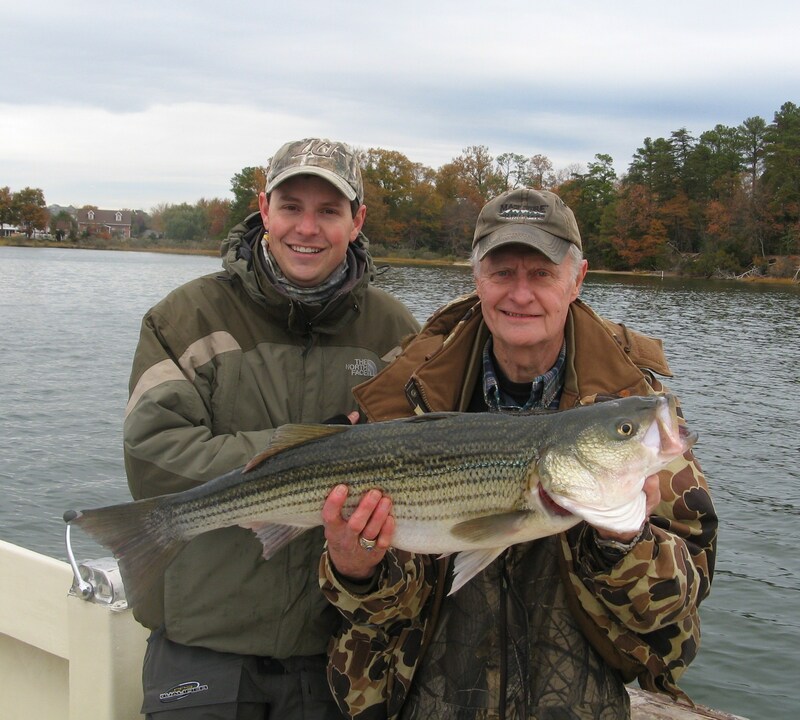 For the record Woody reeled in the big one! Good to see you and your crew again Woody and hope to see you in Virginia Beach!